I hope everyone's week is off to a great start! Todays outfit is one of my favorite cold shouldered pieces - bell sleeves, ruffles and an open shoulder?! I love it all! 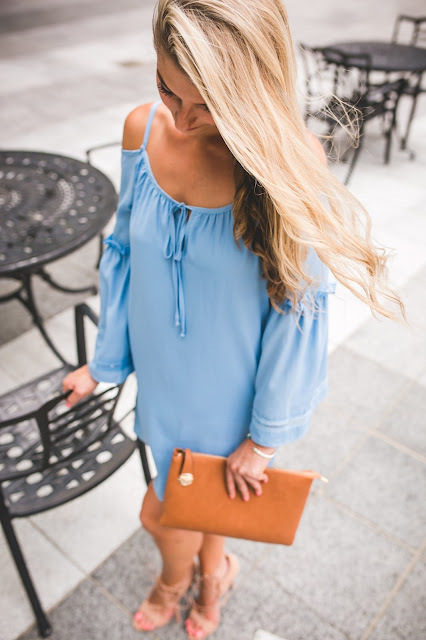 I actually really like the cold shoulder look, it's super flattering on just about every body type and adds just a touch of "flirty" to your look (I will be purchasing this dress next). I paired it with neutral accessories so that the pastel color would remain the focal point of the outfit. Also, my shoes are on super sale right now - I wear them all the time and you can't beat a good pair of heels for under $55! This was the first VAVA item I ever owned, and I immediately fell in love with the brand. 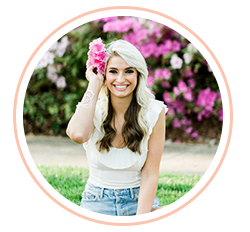 Most of their items are affordable, the quality is great, and it's free two day shipping through Revolve. We're happy to be home with our fur baby, but the travel blues have set in and I'm already itching to plan another trip! Do you guys have any suggestions on great places to go for a weekend trip?